The municipality has a total land area of 89,244,001.90 hectares of which 13, 841.02 has. is the alienable and disposable land, while 1, 501.87 have. Is the forest land and 10.9150 has. is the ancestral domain. 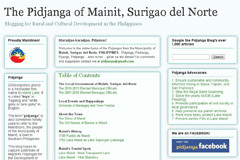 Mainit is located in the southern part of the Province of Surigao del Norte. 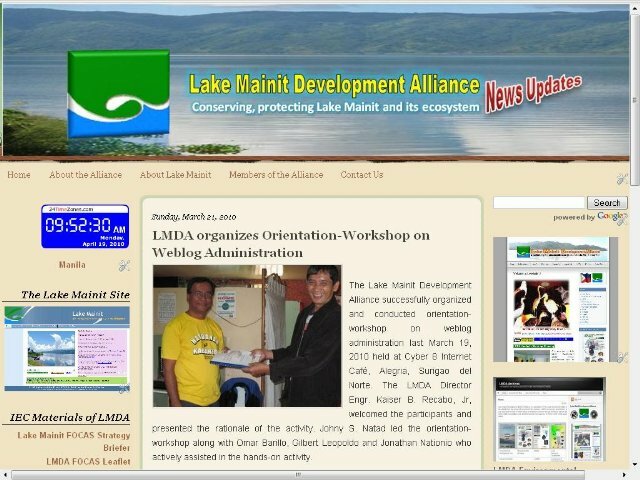 It is bounded on the North by the Municipalities of Sison and Placer, on the South by the Municipality of Alegria and Province of Agusan del Norte, on the East by the Municipalities of Tubod and Bacuag, and on the West by the Municipality of Malimono. Mainit is practically surrounded and separated from the municipalities around it by mountain ranges. Along the boundary of Tubod-Bacuag and Mainit is Mt. Diwata with an elevation of 750 ft. on the Sison-Placer-Mainit boundary is Mt. Buhangin with an elevation of 664 ft. and along the Malimono-Mainit boundary is the Mt. Tendido ranges, with an elevation of 900 ft. These mountain ranges contrast with flat lands around the lake an area where most of Mainit’s barangay are located and which is intensely cultivated with rice. The municipality falls under climate type II that is no dry season and with a very pronounced maximum rain period from November to December. A 4th class municipality with an Internal Revenue Allotment of P29,487,502.42 and an annual income of P3,896,987.38 from local sources as of 2008. The 1995 census showed that Mainit has a population of 21,780 with an annual growth rate of 0.25%. As per CY 2000 Census Mainit has a population of 23,417 with annual growth rate of 1.45%. Mainit now has a population of 23,952 per NSO survey 2007. Population of indigenous people is 545 with 75 families. Per 2000 Census, Mainit has 4,621 number of households with gross urban density of 300 persons/sq.km. and gross rural density of 97 persons/sq.km. At present, base on RHU survey 2007 Mainit has 5,105 number of households. Labor force is estimated to 6,494 people with an employment rate of 22%. Generally, Surigaonons have their own native dialect but in Mainit although they speak the same language the intonation is quite different as observed. The dominant religion is Roman Catholic – 69.8%, Aglipay – 10.76%, UCCP – 10.13%. Other religions are: Seventh Day Adventist, Jehovah’s Witness, Iglesia Ni Cristo, Church of Christ Latter the Saints, etc.